After you have cloned the project, open the solution file, GoogleDotNetDemo.sln. Right click on the solution, select restore NuGet packages, and then press F5 to try running the apps. If everything worked correctly, the app should build and you will see the default app, the token verification demo, start running. The first example I’m going to show is a console app that performs Google OAuth 2 token verification. This is the most concise demo I could come up with and it’s actually useful if you want to check your access tokens during debugging. First, set up your project from the NuGet package manager interface in Visual Studio, add Google.Apis.Oauth2.v2. To make the API call, I’m just getting a service object for OAuth 2, constructing the request, adding the token, and finally executing the request. In this demo, the user is authorized and then their profile information is retrieved and displayed. 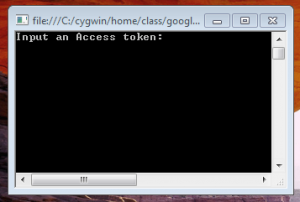 First, as before, we’ll enable the required Google API client package, Google.Apis.Plus.v1. This will install additional client library dependencies. You construct your credentials object with parameters from the Developer API console, authorize the user to get your credential, create your service object from the credential, and then can make your API calls with the service object. Authorizing the user from the console is pretty easy. Note that doing so with the web browser is necessary because the user must input their credentials on the Google OAuth server. No worries, I totally understand. We try our best to make it a great developer experience and it can be frustrating when things seem broken. Good luck! ahhhhhhh I’m having the same random port issue! At first i tried to create it as a web application and thought that was the problem. 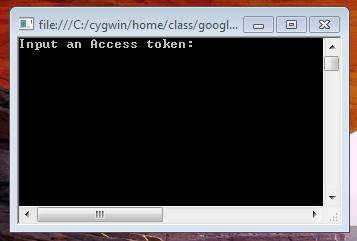 Even after setting a static port with the web application its something with the new web window that pops up. I created a new console app and its the same problem! I’m thinking its something to do with the HTTPClientInitializer . . .
← You will eventually own a smart watch.